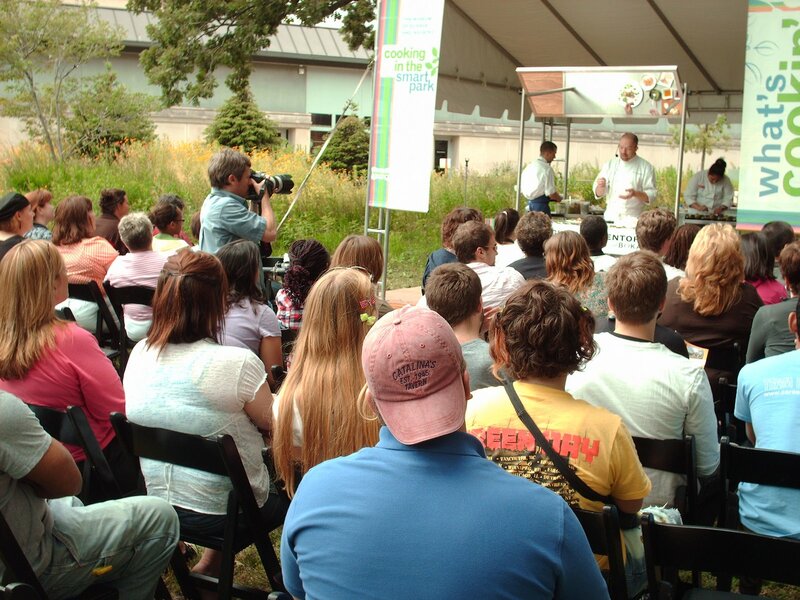 As part of an on-going series of cooking demonstrations we’ve put together for our client, the Museum of Science and Industry’s newly redsigned Smart Home: Green + Wired, check out Boka Chef Giuseppe Tentori’s demo at 11:30 a.m. Friday, July 17 in the Smart Home Garden. Since Chef Tentori joined Boka Restaurant Group in 2007, culinary insiders have heralded him both an innovative and highly original chef. Phil Vettel of the Chicago Tribune called Tentori’s cuisine “dazzling” and awarded him three stars. Chicago Magazine also awarded Boka three stars. In July of 2008, Food and Wine Magazine named Chef Tentori one of the 10 coveted “Best New Chefs.” He also has been named a rising star by Star Chefs and Restaurant Hospitality Magazine. Giuseppe’s appearance is part of a twice-monthy cooking demo series by Chicago’s top chefs, held the 1st and 3rd Friday of every mouth in conjunction with the Musuem’s new Farmers Market.